Designed for oily or problem skin in adolescents and adults, this fresh gel-cream is packed with purifying ingredients that act together to mattify the skin, restoring a clean, bright complexion. The Cleanskin complex fights against seborrhoea and keratosis, and a combination of copper, zinc, allantoin and propolis purifies the skin and fights inflammation. Lastly a mattifying ingredient eliminates shine. The skin is sanitized, pores tightened and smoothed, leaving a fresh and radiant complexion. 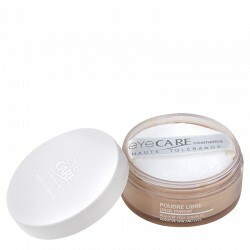 Non-greasy, it can be applied on to cleansed skin in the morning before putting on makeup and / or in the evening. 77% of participants felt the product was better than others they used for acne prone skin.